Uncle Rupert has a large library. The visitors have complete run of it — with the exception of one locked-away volume. Naturally, Fiona is moved to liberate it. Soon after this adventure, the siblings learn that there is another boy lurking on the estate: Deimne. Deimne is hiding from the Sons of Morna, who killed his father. They will do the same to Deimne if they can find him. Bovmall brought Deimne to the estate in order to protect him. She used magic to do this, bringing the boy far from his land and time. Now it’s the moment for Deimne to return. Fiona and Bran elect to accompany him. Somewhat rashly, as they don’t ask where and when he is going. The young trio arrives in distant Ireland, in the distant past. Deimne must travel across hostile territory, facing many challenges. These are the gates through which he must pass to become a hero of Irish legend. A hero whose feats will be celebrated in poetry. Is success assured? One might think so, if he is destined to become a hero. This is not the case. Timelines can fork. Failure will mean death. Deimne is known by another name but that’s a spoiler I won’t share. His adventures are the stuff of Irish legend. 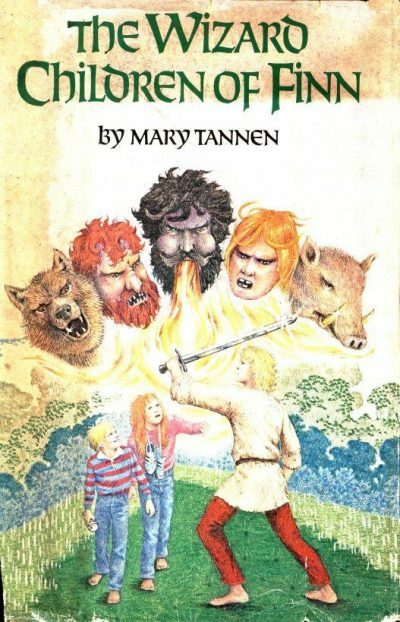 I would imagine that this 1981 book must have sparked an interest in Celtic myth in many of its young readers. 1981). The plot of this book hinges on the need to act out a story in just the right way. It reminded me a bit of Pratchett’s narrativium, the substrate of story that underlies plots and human cultures. Luckily for the two modern era-children, while they’re ignorant of the story into which they’ve been dropped, Deimne is well-versed in hero narratives, which recount a hero doing very dangerous things accompanied by a poet who will celebrate the dangerous things. Presumably this sort of thing goes horribly wrong from time to time, but history only hears about the champions who didn’t get themself and their poet torn to pieces. From Fiona and Bran’s perspective, it’s all a bit of an actor’s nightmare … with the difference that if an actor were to be pushed onstage without knowing play, role, or lines, the worst case scenario wouldn’t be death. It’s probably for the best that they do not know that Deimne is sadly misinformed about one or two of the adventures he must have. This book is aimed at readers much younger than I. I suspect it would appeal not only to sub-teen girls burdened with annoying siblings, but to any tween with a burgeoning interest in Irish myth and legend. It’s a fast-moving little novel and a fun read. The Wizard Children of Finn is available here (Amazon), here (Amazon.ca) and here (Chapters-Indigo).